Used condition with surface blemishes throughout. As-is sale. Glove Box Door Stopper Arm. They can be removed to gain access behind the glove box. 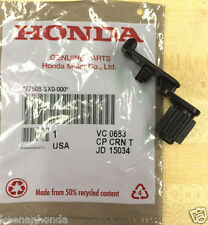 Replace that broken or missing glove box door stopper arm with this Genuine Honda Product. 2001 - 2005 Honda Civic (2dr, 3dr, & 4dr). Up for sale is the glove box with mounting bracket and stoppers pulled from a 2001 Honda Civic EX coupe with the 1.7 4 cylinder engine and automatic transmission. The glove box is in decent condition and opened and closed as expected. It is in nice used condition and in good working order. Specializing in Used Honda / Acura Parts. Johnston Auto Parts. For your consideration: a glove box handle and latch for any EG Honda Civic 1992 1993 1994 1995. This is brown in color and in good condition. If you have an EG you know how rare it is to find an unbroken glove box! For your consideration: a glove box handle and latch for any EG Honda Civic 1992 1993 1994 1995. Color gray in good condition. If you have an EG you know how rare it is to find an unbroken glove box! 90-91 Honda CIVIC Hatchback SH3 Interior Molded Carpet with door sills, kick plate trims. 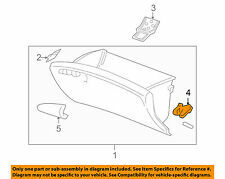 Honda p/n#:77510-SH5-A00Z Glove Box Assy, OEM Brown color. Fuzzy inside in Excellent shape with minor overall wear. In VeryGood overall shape, nice color, light overall wear. Hinges both in good shape. Price is for one glove box handle / latch. 2015 HONDA CIVIC. HONDA CIVIC 12 Gas; beige. HONDA CIVIC 13-15 (Hybrid) & Gas; beige. Wilmington, CA. Will also fit VIN: 19XFB2F56FE701998. 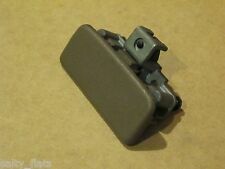 1992 1993 1994 1995 HONDA CIVIC GLOVE BOX LOCK IT WORKS GREAT THE COLOR IS GRAY. 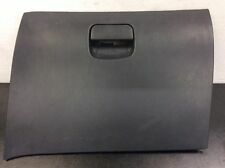 94-95 Honda Civic Black glove box Oem 1994-1995 Civic Glove Box. Condition is Used. This fits 94-95 only, the models with passenger side airbag. This comes with the metal bracket attached to it. In mint condition, was working when pulled. Up for sale is a glove box latch pulled from a 1992-95 Honda Civic.Brown in color and in good condition. For sale is a block glove box assembly removed from a 2008 Honda Civic Si. The item pictured in the ad is what you will receive. The item may contain minor imperfections. For your consideration: a glove box handle and latch for any EG Honda Civic 1992 1993 1994 1995. This is gray / grey in color and in good condition. If you have an EG you know how rare it is to find an unbroken glove box! Glove Box Door Stopper Arm. GENUINE FACTORY OEM Glove Box Door Stopper Arm FOR HONDA & ACURA. Sold individually. Glove box requires two. Honda - Acura. 2001 - 2005 HONDA CIVIC 2DR COUPE (ALL MODELS). In great working condition a dark gray grey glove box removed from a 1996 Honda Civic Coupe. Will fit multiple year civics. Minor blemishes shown in pictures as well as a bump stop is missing also shown in pictures. 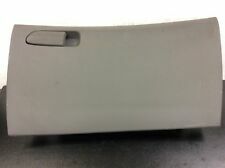 Honda OEM used part, This is the original glove box trim plate, in Gray. 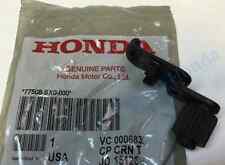 Honda p/n#:77311-SH5-A00ZC Lower Assist Cover, OEM Palmy Gray color. 1989 Honda Civic WAGON Glove Box glovebox GRAY 77510SH5A00 88 89 90 91? Item is in good working condition. This part will fit these makes and models with these options 1 CIVIC 06-11.